Comment: During winter my energy bill is very competitive with my neighbors. However, summer bills are significantly higher than my neighbors. I am wondering if insolation is the problem. Comment: need consultation and/or installation - sound-proofing a corner room in my house. guitars, drums played in there and two walls of room are exterior home walls. windows in both wall already treated with acoustic foam and soundproof curtains. neighbor is still bothered by noise. looking to use mass loaded vinyl or acoustic foam panels on walls. walls are each ~8'x 14'. total budget under $1k. Comment: I have about 200 sq ft addition that needs insulation in the attic. I can buy the R 30 and material and just would need the labor to do it. Comment: I need to have about 600 square feet of insulation installed in the crawl space of my house. There currently is no insulation in that area. Comment: We have a one story ranch about 1300p sq ft which needs more attic insulation. 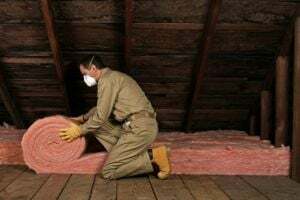 There is some existing blow in insulation, but only 1/3 ft deep or so. The attic will need some prepping to better insulate cracks and put in insulation vents on the edges. Thanks! Comment: I would like to get an estimate for insulation for above garage, garage wall and door. Possibly aluminum for door, blown in for other two. Durham Insulation Contractors are rated 4.80 out of 5 based on 253 reviews of 13 pros. Not Looking for Insulation Contractors in Durham, NC?